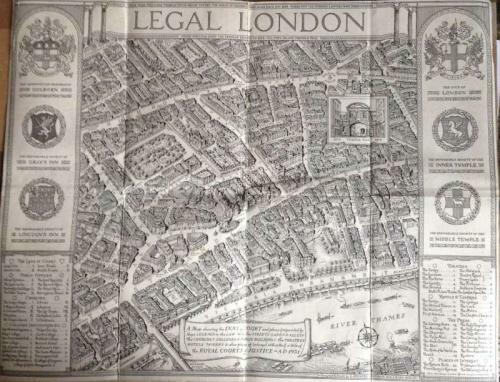 A Map showing the Inns of Court and places frequented by the Learned in Law with the Streets, Lanes & Alleys within half a mile of the Royal Courts of Justice. Designed & drawn by G Spencer Hoffman 1930-31. In very good condition, laid down on linen.